At Pittsburgh Mulching Innovations our fleet of blower trucks allow us to install a variety of bulk materials faster and cleaner than conventional methods and we can reach all the hard places. The material also goes directly from the truck to the final destination eliminating the need to dump piles of material on your property, driveway and roadway. The proper installation of mulch is critical to a healthy landscape. With our blower trucks the operator is able to control where and how much material is put down with more accuracy over the conventional rake, wheelbarrow and pitchfork method. 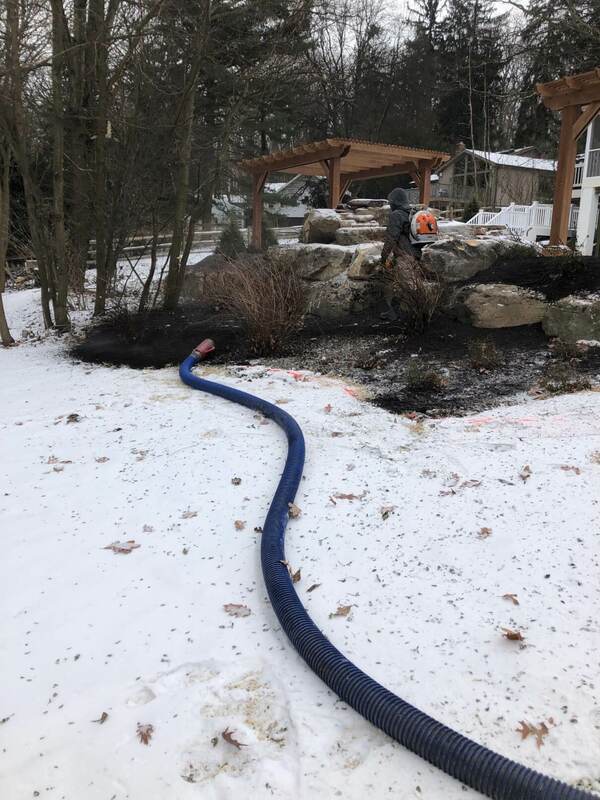 We also have the ability to inject a pre-emergent weed control product into the mulch as it is being installed to ensure your landscape stays beautiful throughout the growing season. Our Express Blower truck is also able to install aggregates that are one inch or smaller in diameter. This would include 2B gravel and limestone, 2A limestone, pea gravel, limestone chip and also sand. The next time you need stone in a hard to reach area call Pittsburgh Mulching Innovations. 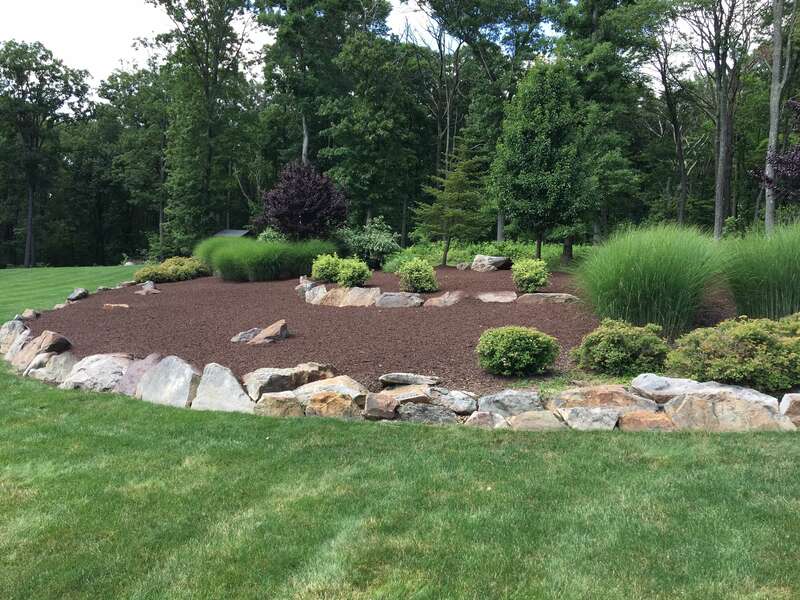 We can install any type of mulch including dyed red, brown, black and cherry as well as standard hardwood mulch in both light and dark. No matter what your preference is, we can help deliver the perfect look for your landscape. Installation of soil, soil blends and compost with our Express Blower truck is quick and easy. Weather its soil for plantings, lawns or grading we can ensure it is property installed and graded in one step eliminating shoveling, wheel borrowing and raking. We are also able to inject seed into the soil and compost during installation for reseeding or new seeding installation.